Grow your business and grow the greater good. 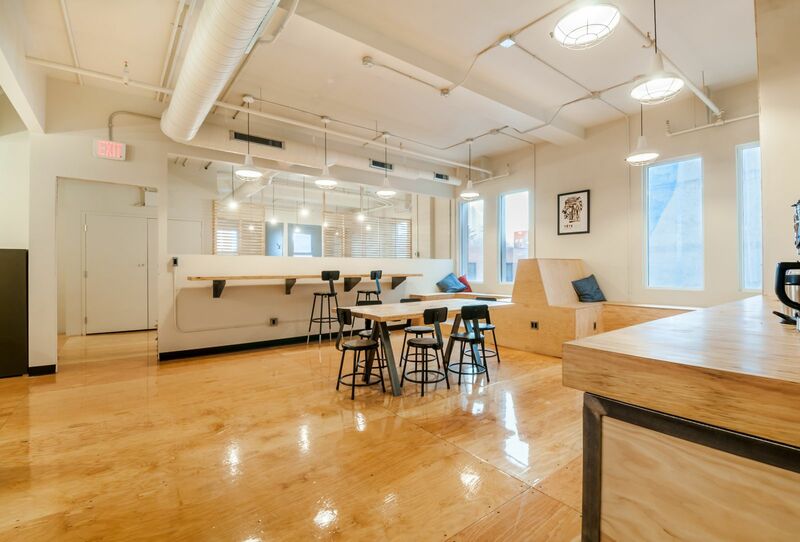 Homestead is a co-working space based in Edmonton, Canada. We are home to a community of city-builders and creatives, designers and doers. We're a collision space, but we're also a community of collaborators. We believe that there is a better way to make a living - one where your work is a part of who you are rather than what you do. We hope to be a space for people to build what they are passionate about alongside like-minded people. Are you a member of Homestead? "A Space You Can Call Home... Office." My experiences have been wonderfully positive to say the least. 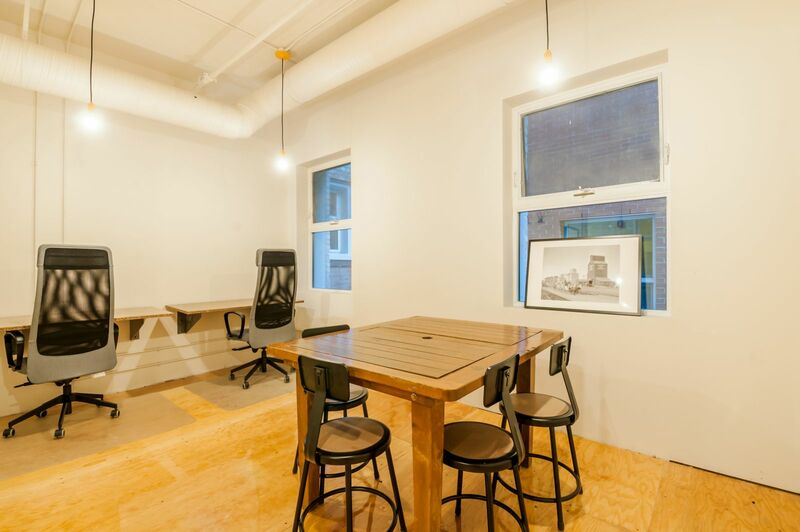 A fully functioning office space with a lot of self motivated, smart and friendly people. An open atmosphere with all the amenities you need in the heart of downtown Edmonton, Homestead creates a welcoming space complete with lunch and learn visiting speakers to special discounts/deals at local shops. There is a lot of natural light in the place, and the common area has a lot of tea, coffee and other drink options during your visit. Perfect for a small start up or a visiting business representative from out of town. "Trendy space & great resources"
I've been working at Homestead for the past five months and am really enjoying the experience. It is a great space to meet other entrepreneurs and discuss some of the issues of the day facing my business. 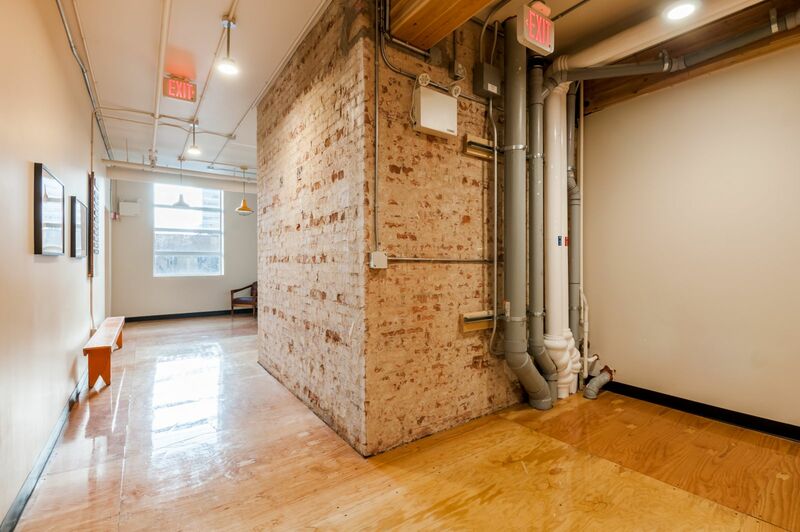 It is also a beautiful and interesting space to bring prospective clients who always ask for a tour of the industrial-like space. It is warm, friendly and has all the comforts of home. One of the best aspects of working here is the special guests & pop-ups that come to the space. They introduce new products and services to those of us still building our local network. I'd strongly recommend Homestead to any entrepreneur looking to grow their network and business. "A great place to work, amazing community"
Not only is Edmonton an amazing place with a thriving business, tech, and startup community, but Homestead is in one of the best locations in downtown Edmonton. 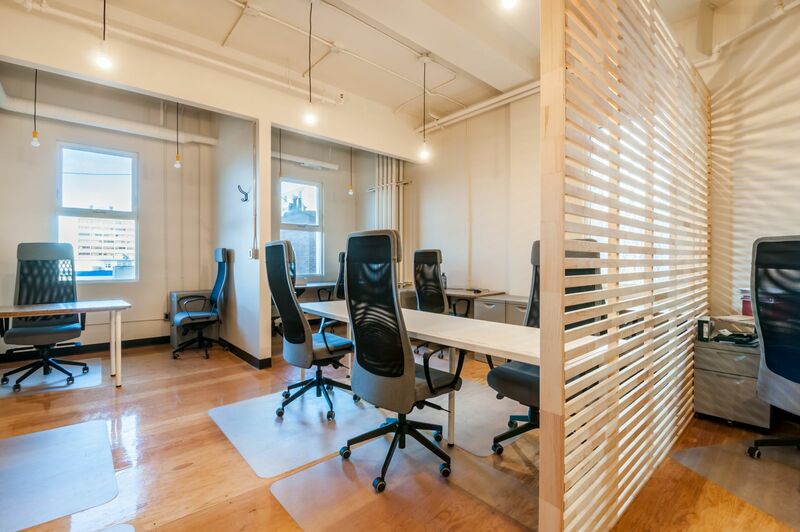 They've got an absolutely gorgeous space with everything you need to start being comfortable and productive immediately. I've been to a lot of startup spaces where it's 90% tech companies, but one thing I really like about Homestead (that I wasn't expecting) was how nice it is to be surrounded by businesses in other sectors. The facilities are super clean, the chairs are probably the best I've ever had at a coworking space, and the desks are smartly sized and placed. There's relaxing seating in the common area and a big centre table for having lunch and conversations with other coworkers. In this city, Homestead is the place to be. 10/10. I work out of Homestead and find the environment very productive. "Small Film Production Companies first space!" We are on our 9th month at Homestead, started as one individual desk, then two and now we are in one of the two person offices. Getting a space was intimidating... Will it be worth the money? Will it make a difference? Will it bring in work? Will I actually meet people. It has not let us down, We have got a handful of projects from the space and people within it -- let alone when we bring clients to the space, showing them around , make them a coffee before we meet, it has been pivotal in us closing contracts. Beyond that, we have met great people in other industries and disciplines that are super inspirational as a result of a bit more of a track record. The networking events and various talks are something we look forward too. Its fully worth a shot. "Love the space and the people! " Homestead is an amazing place to work. I have meet a lot of people from various fields who are excited to work together and support each other. Wifi's is great! Think Tank Thursday is a fantastic way to learn from each other and bounce idea's off each other. The coffee in house is amazing and the location on Jasper is fantastic (close to coffee shops, restaurants and transit). Great mix of quite place to work and bustling space. "Our Business has Found a Home"
"A better way to office"
Homestead is seriously amazing. Every single person I've met is friendly and it's cool to lean what other people are working on. All the facilities provided are top notch. The community manager takes time to get to know you and finds ways to accomodate your needs. 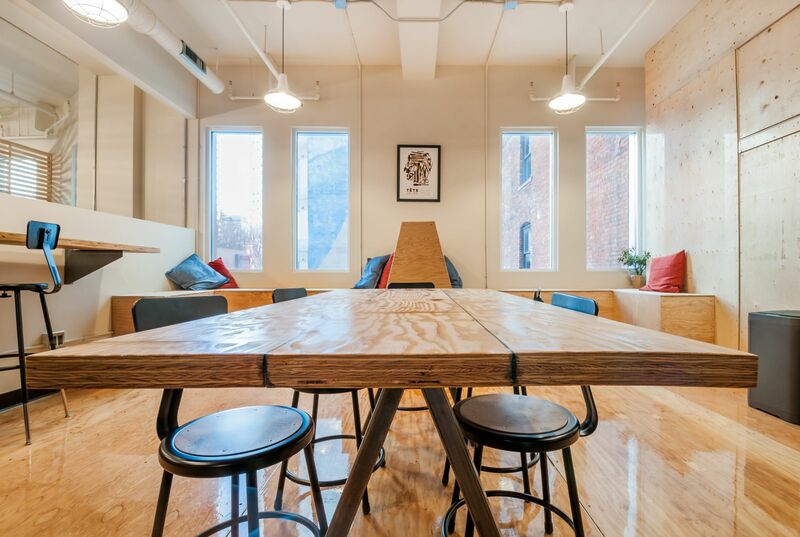 "Ideas, Collaboration, and Good Vibes - Co-Working Done Right"
If you're looking for a space to work from and meet like-minded, creative entrepreneurs ... then Homestead is for you! Within the space I've been able to link up with several companies to help my business in various ways including: Branding, Design, Accounting, Video Production, and more. Every week there is something new and exciting going on which helps keep people connected an engaged within the space. 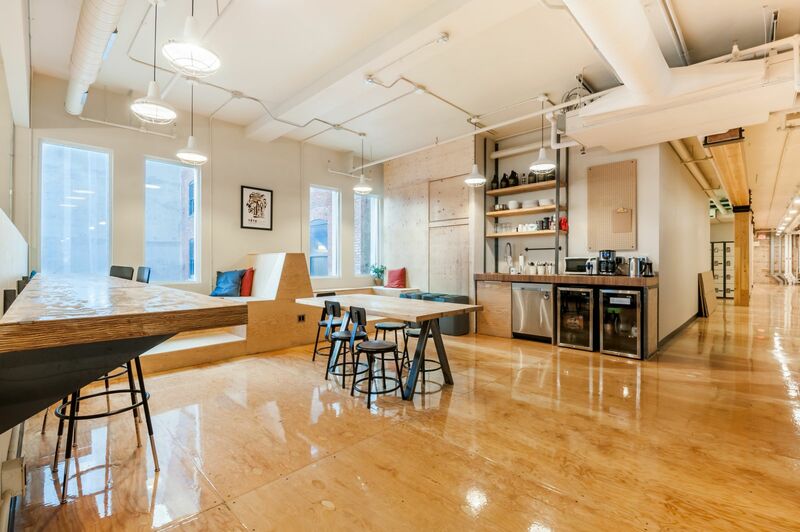 "Well-balanced co-working space with great vibe!" 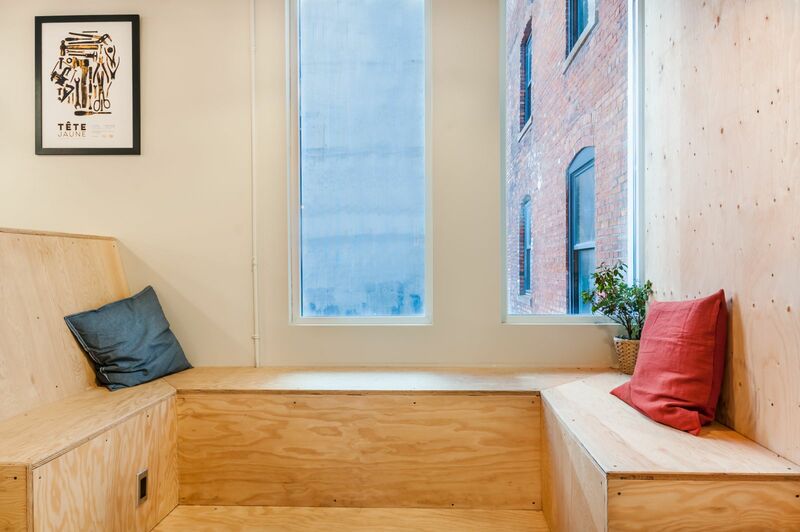 Homestead provides all of the essentials for coworkers of all backgrounds and goes one step further by creating an environment that's comfortable, fun, and productive. 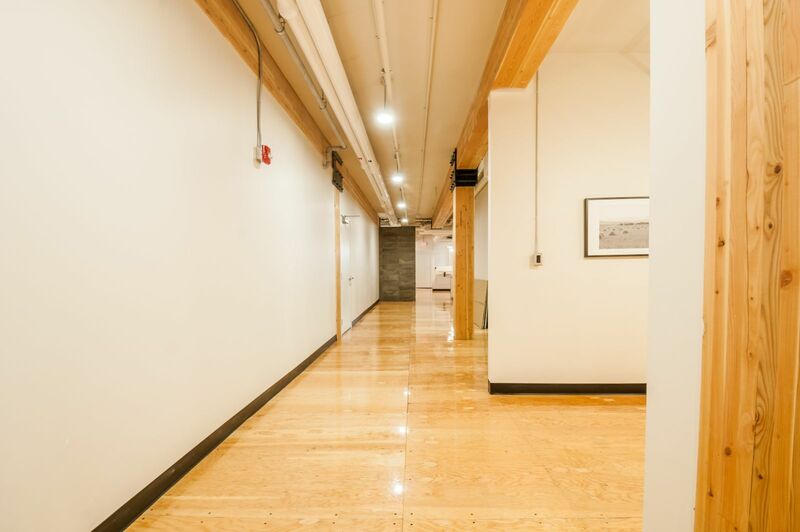 "Great work location with unique business services for all types of companies"
Whether you're a freelancer looking for a professional place to meet clients, put your head down or find collaborative partners, or an established business with several employees, there's a place for you at Homestead. 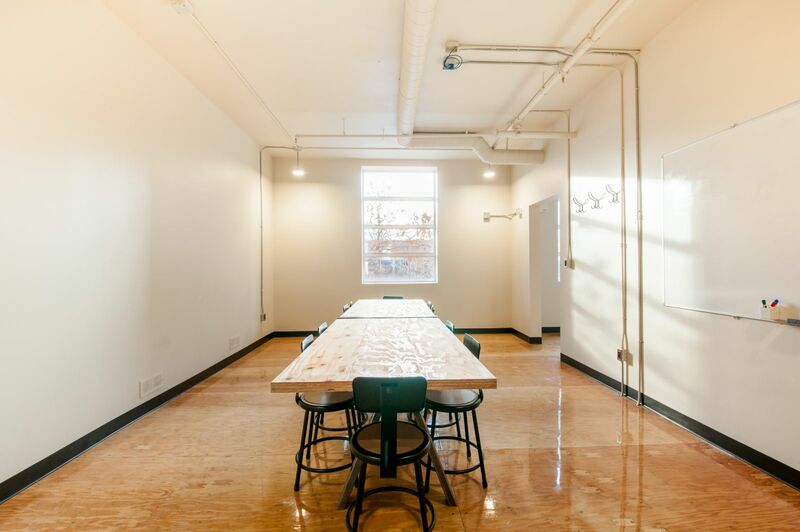 Having explored other co-working spaces in Edmonton, Homestead is unique for many reasons: catering to as small as the one person business and allowing you to grow easily within the space due to the wide array of member drop-in spaces, dedicated desks, one person, and multi-person locked offices is one thing that attracted my business partner and I to the space. There has also been great effort to bring in a wide variety companies, including some established ones that you don't often see in the co-working scene. From well-respected home designers/architects, real estate developers, to software startups and marketing freelancers, the collaboration opportunities are real. In addition, due to the wide range of membership/office/desk packages, it can be affordable for most, which is impressive given the professional services provided. These include an experienced community manager constantly searching for ways to improve the space and every member's business, professional meeting rooms and board room with a modern HD projector, a commercial grade office printer and even fibre internet. There has been such attention to detail in order to satisfy any type of business that you can even request an isolated network with your own dedicated public IP address for those tech companies that need it. Knowing our company can grow without growing out of our office location (with we wanted to be downtown) was important to us when choosing a place to work, and without a doubt, Homestead provides us everything we need to be successful today and tomorrow. "21st Century Homesteading in the Heart of Edmonton"
Naheyawin became a member of Homestead back in August of 2016 right when their doors opened, and we can honestly say that it was one of the best business decisions we've made. This is primarily because of the Homestead culture, which has deep roots in the story of Edmonton. As an indigenous-owned digital agency, one of the first in Canada, it’s always of interest to us to dig into how the smaller, less noticed “units” of culture called design and marketing shapes how we live our lives on a day-to-day basis. The things that we might not realize either reinforce or distance ourselves from where we want to be, and who we are. Homestead takes this very seriously, and because of that, they’ve created a web of intentional actions that reinforce the culture of not only growing our businesses together, but also inviting members to take their place as a force for good in the greater community. 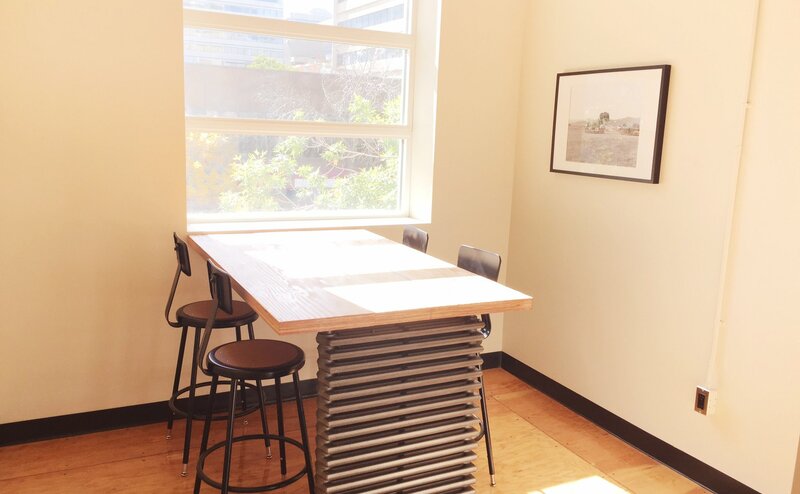 Pairing that with a space that encourages collaboration while leaving room to put your head down and work hard, and you’re left with something so reminiscent of the spirit of an area not so far away that the ancestors of our Indigenous peoples called “pehonan” or “the waiting place”. This was a place where diverse, vibrant peoples from around the Americas would gather in celebration and trade. Sound familiar? For a young company like ours, Homestead has been an amazing place to get work done, meet likeminded people, and ask and give help to those around us. It’s been a blast, and we can’t wait to see how it grows. Here’s to you, fellow and future Homies! 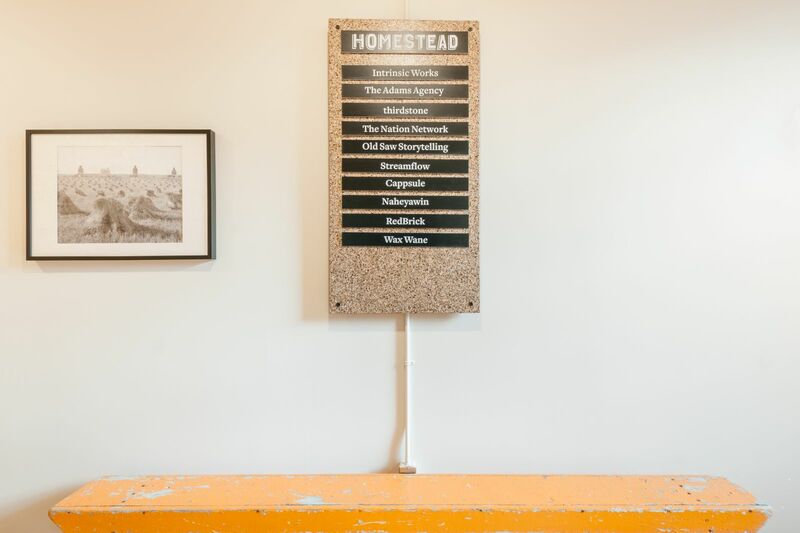 "Really Fun Theme for a Coworking Space"
Homestead has done a great job of dressing up the location with natural materials and decor that speaks to the homesteader roots of Western Canada. The fun decor helps create a great vibe for the community and is symbolic for the startups, freelancers and small businesses that have made the foray into entrepreneurship and chosen Homestead as their home. A lot of thought went into the concept and design of Homestead and it has made this a really great space to work out of. It is centrally located with lots of amenities in the area for coffee, lunch meetings, live music for after work drinks and just about anything else you can think of. There's a post office a block away too which is great. They've also got an awesome community manager who keeps things organized and runs events to help the members connect and build relationships. Say hello to people, you may never know who may be a person you can network with in or out of your industry. While Homestead does offer free coffee, there's a great coffee shop on the bottom floor of the building during the day, which converts to one of my favourite pubs in the evening. Awesome place for meetings during or after work hours. Lock Stock Coffee downstairs... Best breakfast sandwiches..
Great location. Accessible to so many cafes and restaurants nearby. LRT connections within seconds. Affordable and many options available to use the spaces; from hourly to yearly. Talk to the community manager first! He's just so rediculously helpful. Introduce yourself to some of the other members when the opportunities arise. Get a community membership!! You get tons of sweet discounts to local places! 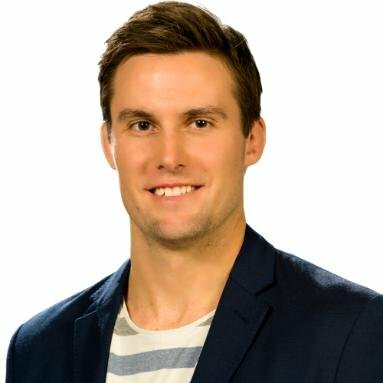 Check in personally with the community manager, David. He'll hook you up. Homestead will be in touch with you soon to confirm. Homestead has received your membership enquiry and will be in touch with you soon.